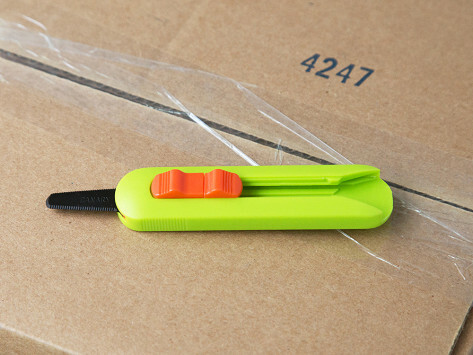 These serrated box cutters make quick work of cardboard boxes, packing tape, and other shipping materials. The adjustable (to 18 positions) stainless steel blades are double-edged and have a non-stick coating to easily tackle the breaking-down job, and rounded tips prevents damage to the goods inside. Dimensions: 1": 9.4" x 3.2" x 0.8"; 3": 9.4" x 3.2" x 1.0"
Weight: 1": 0.09 lb. ; 3": 0.15 lb. I am in use of this product and it is an amazing design of the blad. The quality is excellent. 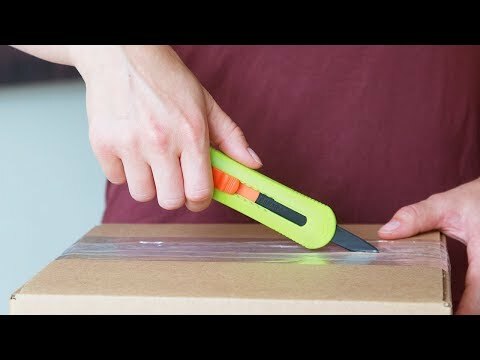 Great box cutter works well,will get a lot of use.